In 3-quart saucepan, heat broth, onion and frozen broccoli to boiling. Reduce heat; cover and simmer 5 minutes, stirring occasionally. Stir in milk and dry potatoes until well blended; stir in remaining ingredients. Heat over low heat about 5 minutes, stirring occasionally, until hot and cheese is melted. 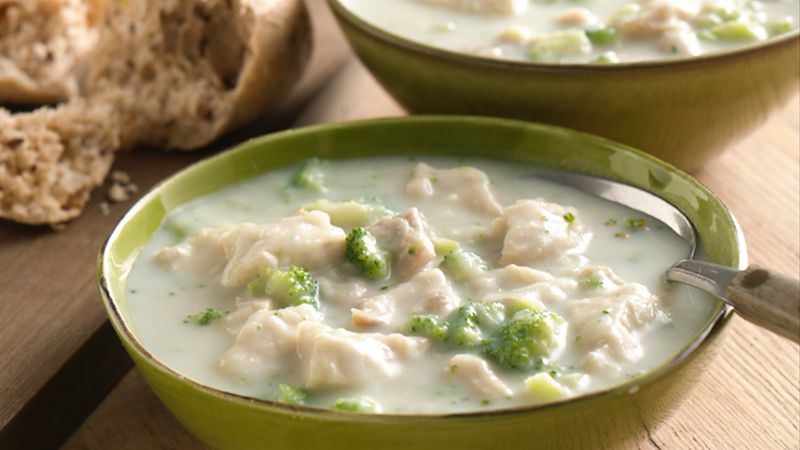 Enjoy this quick-to-prepare soup on a cool autumn day. It not only tastes good, but it's also packed with calcium from the milk, cheese and broccoli.